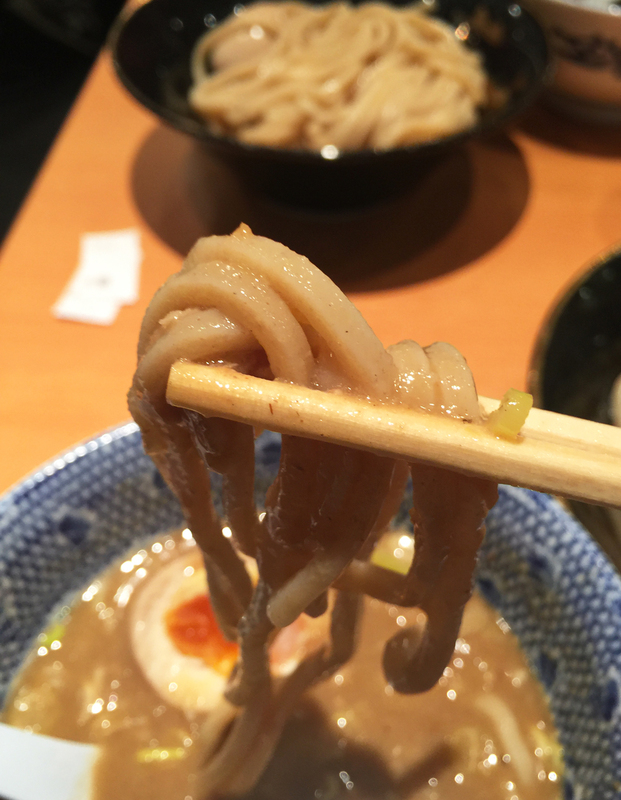 When looking up Ramen places to try in Tokyo, I kept coming across a different type of noodle dish called Tsukemen, where the soup is rich and thick and the noodles are served cold for you to dip into your hot soup. The dish is popular for summertime and the restaurant I picked was the famous Rokurinsha 六厘舎 at Tokyo Station. Expect queues! We arrived at 11:30am on a Wednesday and I had prepared to wait for as long as an hour but in the end we only had to wait 30 minutes, the service is very quick! Lots of men in suits around, as the restaurant is located in the busy Tokyo Station, you'll see lots of business types having lunch. I remember feeling that the rich soup did get a little sickening towards the end and the soup flavour is a fish-based one, so the mackerel flavour is very strong. I loved the noodle and I did enjoy the idea of a Tsukemen but I'm not sure about the flavour of this soup, I'll have to try out a different flavour at a different restaurant maybe. After you've finished your noodles, there is some hand signalling from a waitress who will then top up your thick sauce with a soup broth for you to drink the remainder.